All the ladies around the wireless listening to the Melbourne Cup. 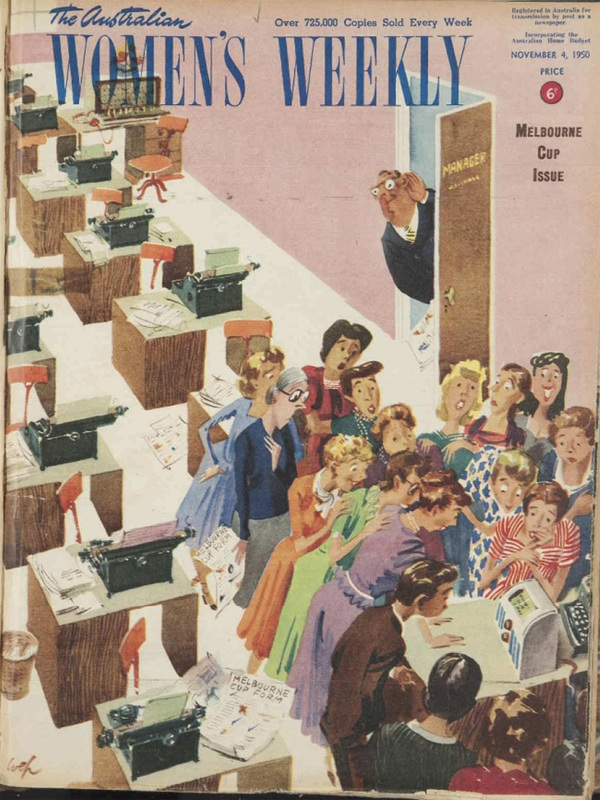 William Edwin Pidgeon (WEP) created the first dummy for The Australian Women’s Weekly in 1933. And went on to create many covers. Hazel de Berg interviewed him in 1965: The ideas usually would necessitate about two or three hours thinking, occasionally you might get one quite inspirationally; it’s a matter of reading the daily papers, going through the news. The cartoon is of no use to the daily press unless it’s topical. Then after reading the newspapers, you sort of make your mind receptive and wait for something to happen. You’d think about all sorts of things, all different approaches, different angles; you’d discard them or you’d become receptive, the subconscious seems to work and sometimes you’d get an odd twist from that, and that will be the cartoon. 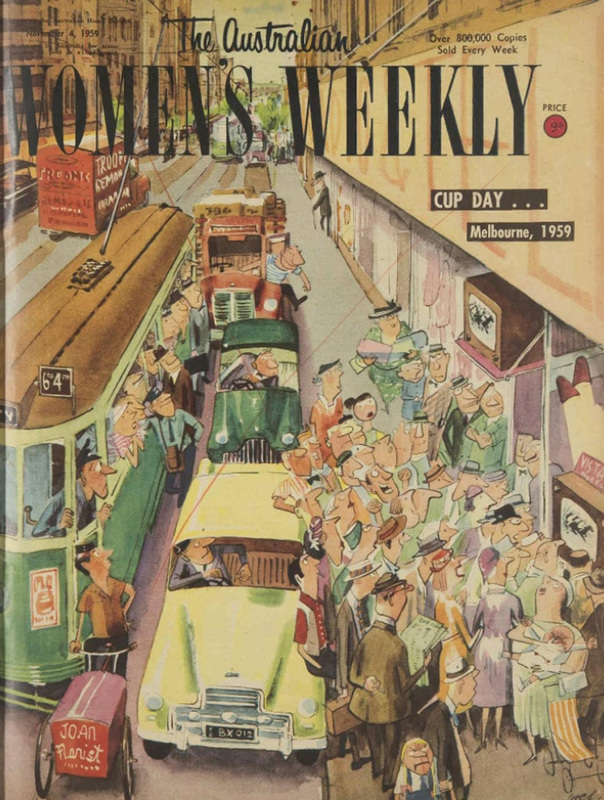 In 1959 Pidgeon captures the launch of television for The Weekly with the image below. This amusing Melbourne Cup Day cartoon was drawn specially for us by artist Wep and shows how television will bring the race to Melbourne streets while holiday crowds are on their way home on the afternoon of the race.